GBS Gearbox Services international is the fastest, full service, worldwide specialist in gearbox repair of Rhenania gearboxes. Taking the latest innovations of our gearbox service experts, our goal is to get, often mission critical, gearboxes back into production at the shortest timespan possible. We have a winning track record in Rhenania servicing! Having experience with a wide variaty of brands, we know the weakspots and strengths of any brand and can not only repair but often improve the reliability of any gearbox system. - Reporting and making a revision proposal. 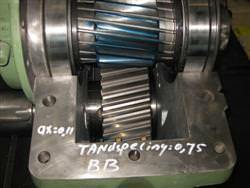 - Assembling and revision on gearbox Rhenania 99436760 gearbox according to revision proposal. - Performing a test run with a test run report. 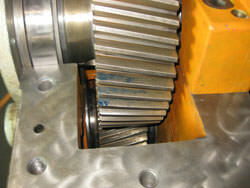 Visual inspection of Rhenia gearbox. During the inspection several damaged parts were observed. Repair and/or replacement of these parts is required. Because of the partial disassembly, not all parts were accessible for inspection. 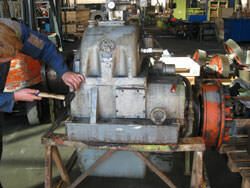 Further disassembly of the propulsion gearbox is required to complete the extensive inspection. - Inspect and clean all parts including piping. - Obtain geometric measurements of the gearbox housing. 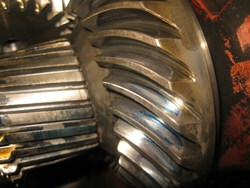 - Perform non-destructive testing of gears and casing. 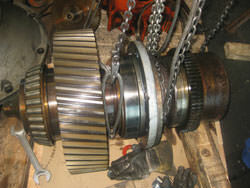 - Replace all bearings and seals. - Check tooth contact patterns. 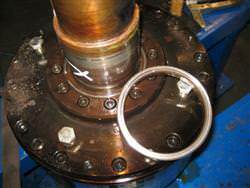 - Measure bearing clearances (radial and axial). 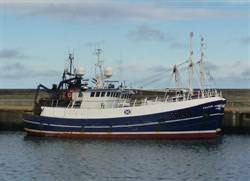 - Perform an alignment check between output shaft and propeller shaft. For more than 20 years, GBS Gearbox Services has gained extensive knowledge of gear technology through new gearbox design and manufacture. 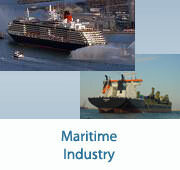 Today, GBS is supplying service to Rhenania gearboxes in marine and industrial markets. 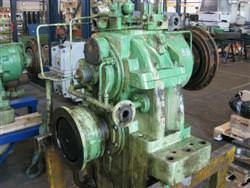 Our Services team is qualified to inspect, maintain and repair any make or type of industrial or marine gearbox. Many working examples exist of improvements we have made to non-Rhenania gearboxes, that have extended the life of the gearbox.